View the complete Convention Program here. In this session the presenter will host a mystery location call in which a mystery guest will visit a room virtually. Participants will guess the location by asking questions. Guidelines will be given as to how to set up a session and make it pedagogically profitable and memorable. Many English teachers argue that their students learn English easily using technology. The presenter will talk about four innovating and successful ICT apps to be used in class. The presenter will share work on vocabulary carried out at a community-based education support center in CABA to support young learners experiencing difficulty with English at schools. After the demonstration, the participants will try their hand at identifying and anticipating vocabulary issues and planning vocabulary support work themselves. Spelling practice should be considered of utmost importance in the EFL classroom. The aim of this session is to raise awareness of the great benefits brought by this practice through the analysis of the types of instructional activities that work best and of the type of spelling strategies that may be taught. This presentation deals with a native speaker conversation workshop developed to support students’ language performance. It includes materials used, handout samples, assessment rubrics, students’ learning paths and an impact analysis of the activity. Having Fulbright scholars create screencasts and green screen videos can spur on students’ motivation to tackle a given history and culture curriculum. This presentation will demonstrate how Fulbrighters can render into a fruitful addition to a Teacher Education Program class by creating digital materials. The presenter will begin by reviewing Howard Gardner’s theory on multiple intelligences. She will invite attendees to participate in a game in which they have to identify famous people’s prominent intelligences. Different innovative ideas will be offered drawing on a classic story. Attendees will perform assessment activities minding multiple intelligences. In the current teaching/learning scenario, it is hard work to engage and motivate students. However, there is still something that makes some classes positively different and effective: warm-ups. The speaker will briefly talk about warm-ups and demonstrate some successful techniques. Theory and research suggest that literature circles promote student engagement in reading and positively affect the language development of English learners. This demonstration will provide a brief introduction to literature circles and, as participants join reading discussion groups, possible implementations of literature circles in the EFL classroom will be covered. A thought-provoking look at making ELT accessible to all socio-economic groups and identifying the challenges this can present. The speaker will demonstrate strategies to ensure ELT in the third sector is still meaningful and to reconcile learner’s desire with socio-economic complexities in the learning and teaching process. Includes case studies. This presentation explores some of the salient characteristics that distinguish the leadership of teachers in charge of other teachers, and discusses in particular the importance of trust, usual conflicts faced as well as strategies to work with peer teachers. The purpose of this demonstration is to show how Cuadernos de 4º EP y 1º ES and their Cuadernillos de acompañamiento designed by Programa de Educación Plurilingüe help teachers implement the prescribed curriculum designs of the Province of Buenos Aires. Secondary school students’ motivation is of utmost importance to enhance significant learning. Different strategies have been suggested to achieve this goal. In this demonstration the presenters will share an experience in the design, actual use and evaluation of a virtual classroom in the context of post-method pedagogy. Teaching EFL learners how to listen can make a difference; therefore, teachers should be acquainted with appropriate criteria to maximize their selection and evaluation of materials for classroom instruction. Winds of change in ELT require teachers to incorporate a pedagogical model of listening for the development of this skill. Many indigenous cultures around the world value communication in council circles as an essential tool for community building, conflict resolution, and ensuring that all voices are represented in a non-hierarchical manner. This demonstration will provide participants with a basic understanding of the principals underlying council and its usefulness in the language classroom. Based on a bimodality conception of L2 comprehension and learning in an academic setting, the materials developed for the English Chair at the FFyL-UBA will illustrate the importance of conceiving academic listening as a complex and approximate process and will exemplify a long-term developmental program which familiarizes students with academic L2 input and tasks. A virtual Language Exchange Program is an online cross-cultural language program that gives students unique 21st century skills such as speaking abilities, critical thinking, cross-cultural communication and a globalized understanding of different ways of living around the world. This presentation will tackle how students can profit from an online cross-cultural program. Teachers use a variety of “tools” in their instruction. The computer is a valuable tool for teachers to utilize in and out of the classroom. The web is used for communication, entertainment, and more. We will explore these utensils and more in providing an excellent learning experience for students. Business English learners expect an integral development of business skills. However, traditional activities are designed to teach the language of business rather than the performance of these abilities. This talk aims to provide insight into the current use of business skills and describe innovative activities based on management techniques. Presenter: Poklepovic, Dana – Buenos Aires, Argentina. The paper will show the impact of the application of a revolutionary approach that has changed English teachers and students’ point of view regarding pronunciation; it also encourages the improvement of this skill as a new way of living the language, no matter the level acquired in other skills. High Quality teaching is that which takes students to the highest levels of thinking. This presentation aims at exploring the different levels of thinking and how language teachers can plan instruction which fosters the learning of a language through the development of thinking; engaging their learners in challenging and motivating activities. Future medical professionals need to develop critical reading skills so as to be able to read updated bibliography. The poster will show the results of research carried out in the year 2014 at the medical college of Olavarría which was based on the reading strategies that students used. TV shows such as Jeopardy, Poker Face and Password have interesting dynamics. General ideas taken from them were adapted to teach English in a different way. These kinds of activities were developed in an ESL classroom in the University of Guanajuato. Students could practice vocabulary, speaking and pronunciation. In Brazil, searches for private ESL classes have increased steeply during the past years. This presentation will show the results obtained through qualitative and quantitative research on the subject. It will also cover some other topics from both students’ and teachers’ perspectives, such as materials, and tools. Mastering the skills to produce an acceptable piece of writing while following genre conventions is many times complex. Yet, teachers could help students by explicitly instructing them and analyzing “good” models. This case study aims at discovering the effects of such practices. The findings will be discussed with the audience. Genre acculturation is a useful strategy to help novice researchers improve their writing skills through feedback and negotiation among members of a discourse community. This study will explore the novice-expert relationship of a group of Argentinean researchers in an attempt to gather insight for further planning and adaptation of writing courses. 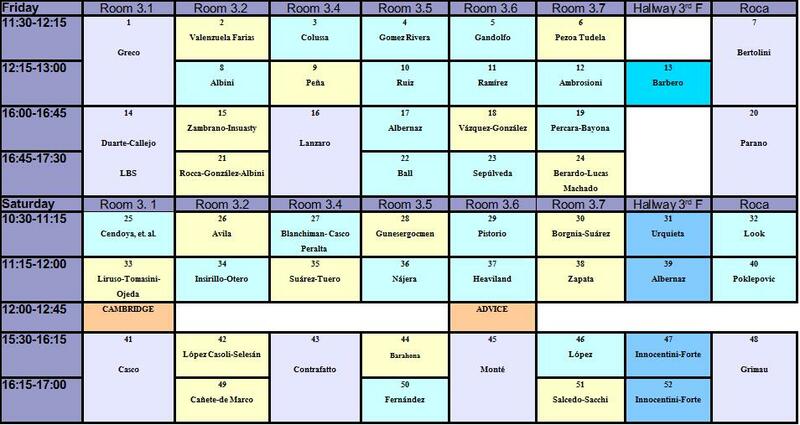 Presenters: Innocentini, Viviana A.; Forte, Ana B. – Universidad de Mar del Plata, Argentina. This study investigates if visual technology can help EFL Spanish speakers to improve and understand English intonation. The program Praat demonstrates that 6 Chilean EFL speakers, after 9 weeks of training were able to visually understand that English language has different rhythm and intonation than Spanish. This study examines the effects of a genre-based approach on the teaching of abstracts in 30 English pedagogy students at Universidad Católica del Norte, Chile. The intervention combined principles of the ESP tradition with the genre-based pedagogy developed in Australia. This intervention produced positive effects on the students’ effective writing. This study explores lexical errors in L2 writing of beginner and advanced EFL learners. Analysis categorizes lexical errors between formal or semantic. The nature and quantity of errors are compared. Findings reveal a great variety of errors and major L1 influence regardless of proficiency level. Pedagogical implications are discussed. The teaching practicum is an arena where student teachers can be empowered to become reflective practitioners. The results of three research studies at a public university in Colombia showed that journal-keeping, blog group discussions and the exploration of different types of feedback, can bring meaningful results in the development of teachers´ reflectiveness. The presenters will explore the aspects of pronunciation that hinder comprehension the most among EFL learners. There will be a discussion on the pronunciation features that students deem the most relevant and on learners’ assessment of pronunciation. The presenters will share results and relevant pedagogical implications. Self-assessment instruments constitute a very useful tool for teachers to monitor and adjust instruction. The aim of this presentation is to show the results of the evaluation of a new instrument designed to be completed by University students who finished the last level of the English reading comprehension course. During the last few decades, several research studies have investigated feedback in EFL writing. Teachers and researchers have studied different types of feedback, but there are no conclusive results. The presenters will report findings from a study designed to find whether focused or comprehensive feedback was more beneficial for students. Learning abstract concepts is challenging in a students´ first language, let alone in a foreign one. So, how do L1 students learn them; what barriers might they face? Our study will address correlations found among five student perceived barriers: motivation, role of instruction, cross-linguistic influence, situated attention and self-efficacy. International students sometimes have difficulty in understanding English texts due to (long) complex sentences. This presentation will introduce ACloserLookAtComplexSentences handouts designed by METU Department of Modern Languages to support reading texts in their Eng101 coursebook, then it will reveal research findings, and finally give suggestions for classrooms in other countries. Recently, the direct application of corpus technology in the EFL classroom has demonstrated great potential for foreign language learning. The presenters will describe the nature of the searches in online corpora carried out by students at the ELT program at UNMDP. Insights gained from this experience will be shared with the audience. Textbooks play an important role in the learning process. Verbal signs are just one semiotic component but there are other elements that build up a page layout and communicate meaning. Presenters will analyze the results of a survey exploring learners’ views on various multimodal elements in EFL textbooks. Experts and practitioners emphasize the importance of teaching and learning collocations in the EFL classroom. Although collocations display semantic transparency, they still pose great challenges even for advanced learners. The purpose of this study was to explore and describe the current treatment of collocations in widely-used EFL textbooks in Argentina. In recent years there have been a plethora of studies that explain how evaluation presents itself in research articles. However, adjectives, as lexical items of evaluation, have been given little attention. For this reason, the present corpus-based study aims at describing authors’ usage of adjectives as linguistic and discursive marks of evaluation. The presenters will discuss the preliminary results of a comparative study on the use of connectors in expository writing by TEFL students. The purpose of the investigation is to study to what extent the kind of text influences how connectors are used in college writing. The implementation of sequential school-based experiences across teacher EFL education programs in Chile has raised challenges. One of these is the apparent lack of a shared conception of effective teaching EFL in Chilean schools. Using a case study this presentation explores different collaborative approaches to support the development of EFL pre-service teachers. Due to a limited exposure to the L2, many EFL student writers often produce stilted and extremely elaborate texts. Among the causes of such unnatural discourse production is a dysfunction in the organization of information. This study investigates how college students organize given-new information and its effects on overall coherence. The teaching of culture has an important role in the proposed national and state foreign language curricula in Argentina. This presentation reports on a qualitative research study conducted with EFL teachers in Río Cuarto to understand their beliefs about culture teaching and the role of culture in their teaching practice. The participants will get involved in hands-on activities based on pictures, songs, trailers and video extracts that will take them through a variety of activities to foster intercultural competence. The presenter will guide the participants through a field of critical thinking to unveil intercultural issues, and will deliver methodological tips. Teacher hand-made resources have practical benefits, providing both variety to the class activity and linguistic relevance. Interactive Boards, Reference Charts, TPR and Action Games, Songs & Rhymes, Puppets & Masks provide an excellent opportunity for the children to learn by doing something enjoyable and meaningful. Discover how to teach the little ones! Listening is a key 21st century skill, the core of all communication processes. Learners need to learn “how” to listen. Classes often test “what” they listen. The pivot of this workshop will be metacognition, a key that unlocks L2 listening barriers and one of the most reliable predictors of learning. How can we make a beautiful story from a simple song? There is a beautiful bunch of stories around and well-known songs which can help. Lyrics and video clips will be played in this workshop to show how to foster development of thinking capacities in the classroom. In this workshop we will work on storytelling strategies to tell tales in EFL to any age group or language level. We are going to explore the impact of non-verbal referents through the body language of the storyteller and the physicality of the characters. What is “change”? Why do teachers often resist to it? In this workshop, the presenter will reflect on the different aspects of change in EFL classes and its effect on motivation. Eventually, she will discuss possible strategies to overcome resistance, lead teachers through change and motivate learners AND teachers. In this workshop we will discuss ways to help students acquire knowledge. Teachers’ role as facilitators is essential in the learning process. We need to create a safe broad and narrow setting in which to foster our students’ awareness of the places they are standing at and heading for in the learning process. Knowing how the brain works is essential for teachers to select strategies and design class activities that go hand in hand with how our students’ brains learn. In a fun way, through the use of a variety of games, this workshop aims at introducing some principles of Brain-based Learning. We can adapt the use of games to any teaching method, In this workshop the presenter will show some examples of games making the audience participate in the activities. Participants will leave the session full of energy and ideas about how to implement games into their lessons. be available on two of the following shifts: Friday, May 8, from 14:15 to 18:30; Saturday, May 9 from 8:45 to 12:45 or from 14:15 to 18:00. The conference schedule is available at here. 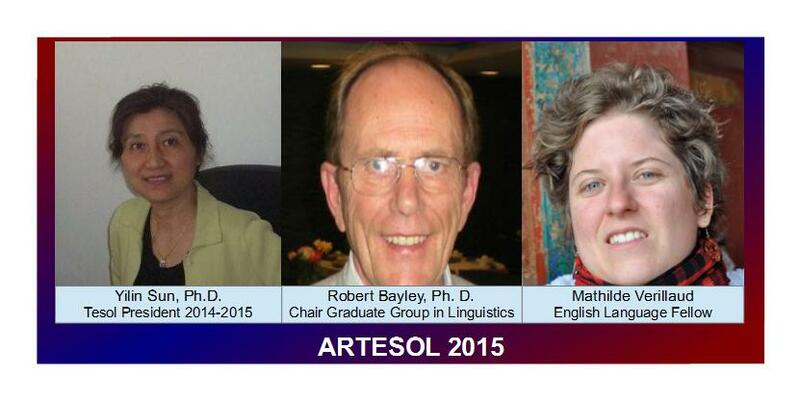 If you are interested, please contact us at argentinatesol@gmail.com by April 30.